Contemporary Creole style. Thinly twisted, these large tri-coloured gold earrings, simply gleam. The perfect accessory to every occasion. 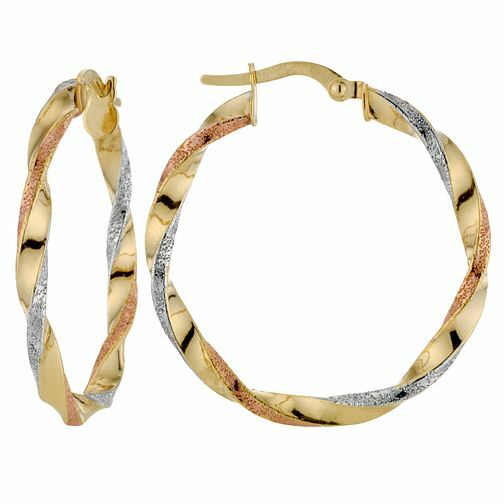 9ct 3 Colour Twisted Creole Earrings is rated 4.0 out of 5 by 3. Rated 4 out of 5 by Anonymous from Too small Lovely earring but too small, I would have loved them to be much thicker and bigger for the price.